It also acts as a powerful antiseptic and mostly used for inhalation, baths, massages. 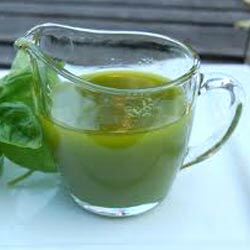 Basil essential oil is used typically to massage the skin. Asil is particularly favored with tomatoes, but can also be used to flavor salads, stuffings, sauces and omelettes as well as soups (pistou) and pasta dishes.